Vroon’s subsea-support walk-to-work unit, VOS Start, has been chosen by Total E&P Nederland (TEPNL) to deliver offshore logistics support to a planned maintenance campaign on Total’s offshore assets in the Dutch sector of the Southern North Sea. 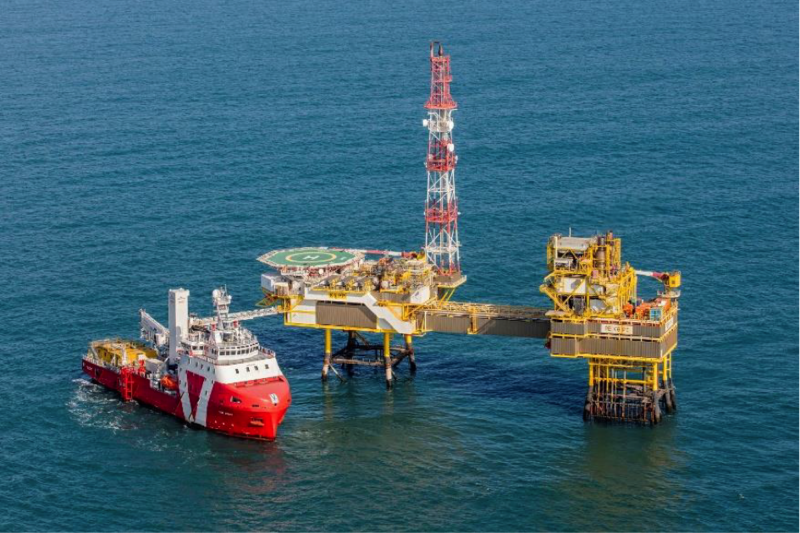 Fitted with a 50t active-heave-compensated crane and able to accommodate up to 60 client personnel, VOS Start was designed to allow optimal people and cargo workflow between main deck, accommodation areas and the offshore asset. Her Barge Master motion-compensated gangway system is a pivotal element of the shipboard workflow, as people (and cargo trolleys, if required) can enter a lift built in the tower, along which the gangway system slides vertically between 9 and 27m on the sea level, maintaining a horizontal position when landing at any height between 14.5 and 22 m.
During the first seven days of operations with TEPNL, VOS Start completed 34 gangway connections, transferring a total 185 client personnel. At the beginning of April, VOS Start will sail to the Irish Sea where she will engage in similar walk-to-work operations for an offshore-renewable client. VOS Start, and sister vessel VOS Stone, are purpose built to support offshore operations and walk-to-work projects in today’s Renewable Energy and Oil & Gas industries.